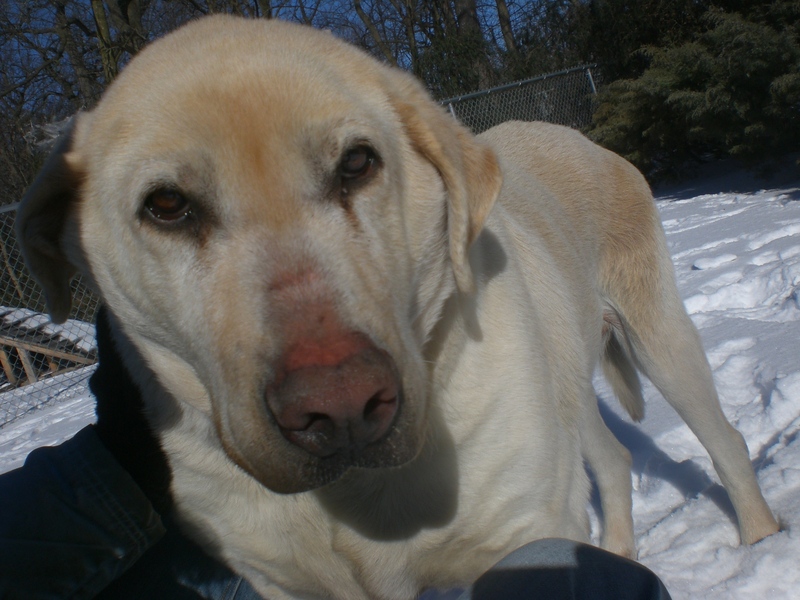 Biscuit the five-year-old yellow Labrador Retriever mix is one of the sweetest, gentlest dogs I’ve walked at the shelter recently. He walks pretty slowly, so you never have to worry about him pulling on the leash. Even when we got to the off-leash run and he was free to roam, he heeled without being asked. Maybe “Shadow” is a more appropriate name for him, because that’s what he’ll be for his new lucky owner! Biscuit is also an affectionate pooch. Whenever I knelt down to be on his level, he’d get himself as close to me as possible and then give me a few nice doggy kisses. When you scratch the side of his neck, he’ll give you a tail wag as thanks. 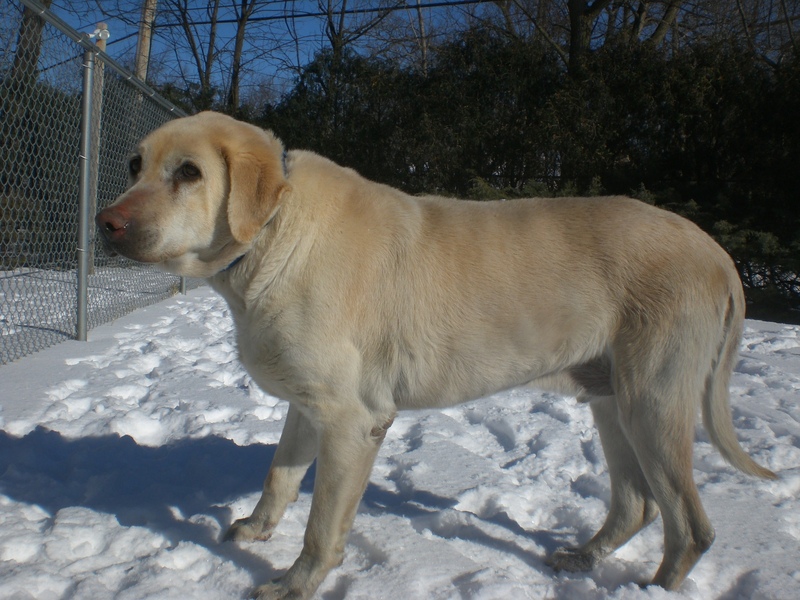 This big boy would make a great companion for just about anybody. Come in soon to meet Biscuit! Duke the six-year-old Pit Bull Terrier mix has the winning combination of looks and personality. 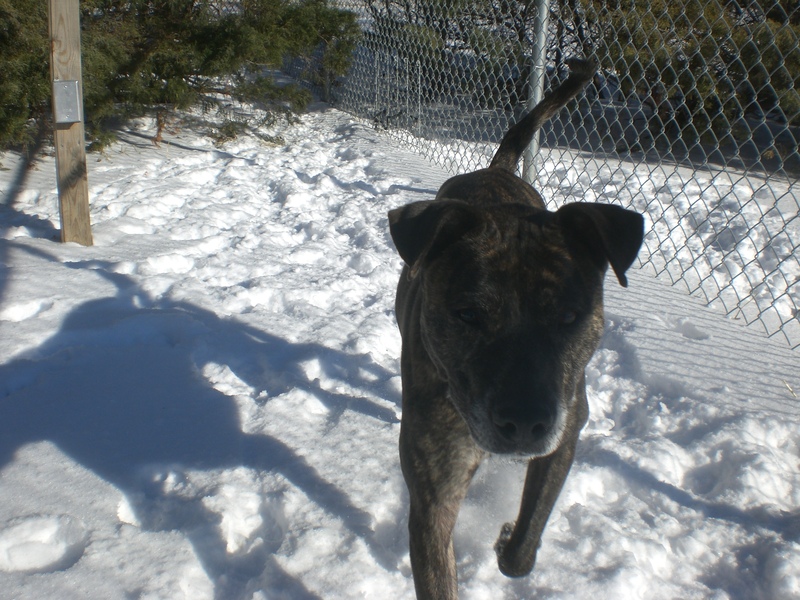 Duke will grab your attention with his handsome brindle coat, and then he’ll seal the deal with his happy-go-luckiness. He did a good job while walking on the leash but was very happy to be able to romp in the off-leash run. This is a dog who would certainly appreciate a backyard of his own. Duke is of a playful sort. He had fun racing the dog on the other side of the fence and is eager to greet any new person who comes by. Duke also enjoys being in the middle of whatever action might be going on so he can lend a helping paw. This well-behaved boy is more than ready to get settled in a new home with a new family. Could that be with you? 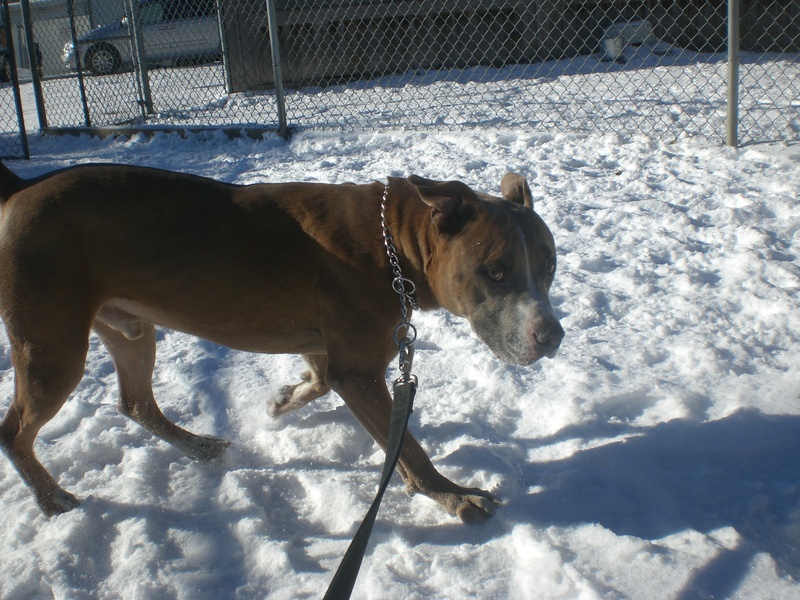 Zeus the nine-year-old Pit Bull Terrier mix may look like all brawn, but behind his exterior is a sweet boy who just wants to love and be loved in return. His whole body wiggles when he wags his tail, which is most of the time because he’s a happy pooch. 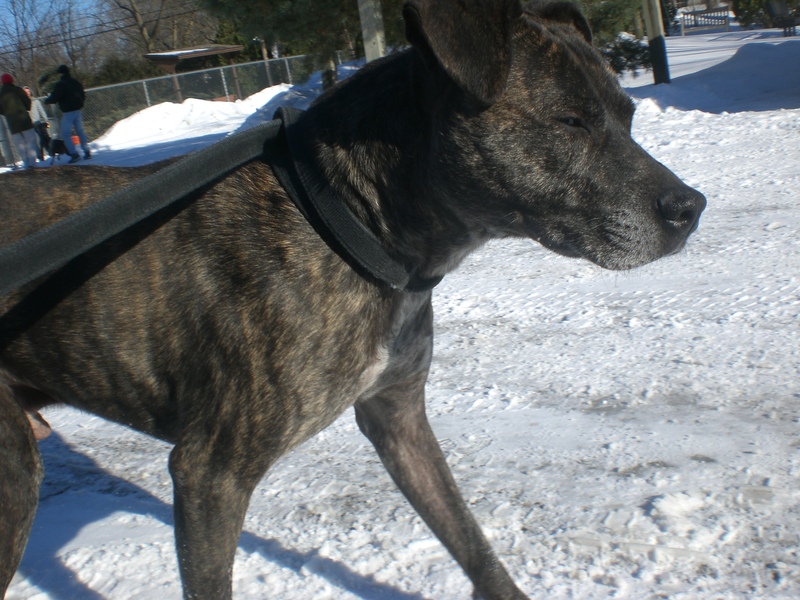 He was a great walking buddy and would love to go on walks around his new neighborhood with his new family. A backyard of his own would be an added bonus! Zeus just loves getting attention. He would stand right next to me and lean against my legs while I pet him, and then lift his chin up and give me doggy kisses as a thank you. There may be some doggy drool involved, but that’s pretty minor compared to the happiness Zeus is sure to bring to his new furever home. 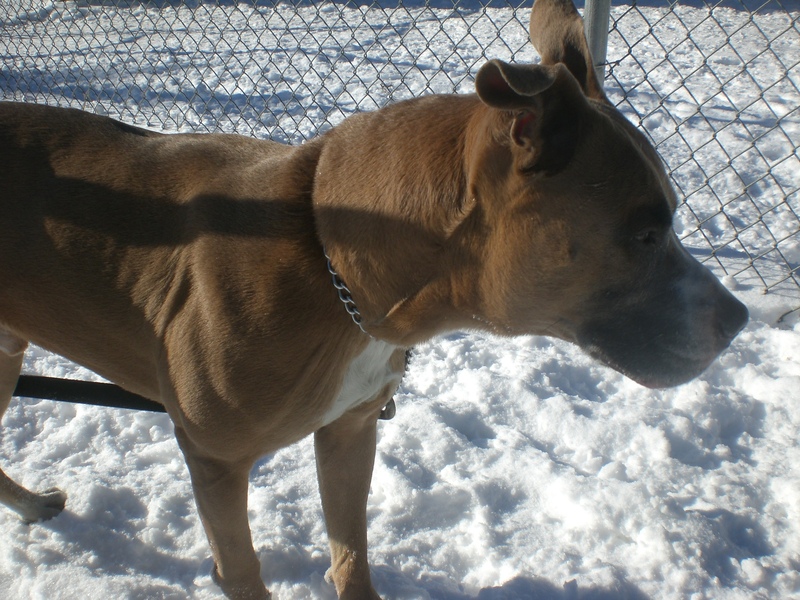 Come in soon to meet Zeus! 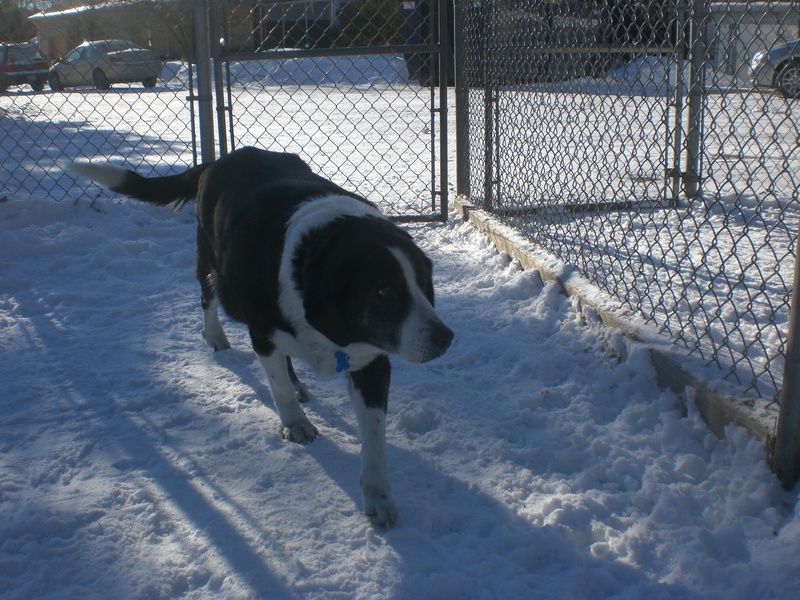 Shasta the eight-year-old Border Collie mix is very nervous inside her kennel, but once she’s out and about she’s like an entirely new dog, with a wagging tail and smiling face and everything. 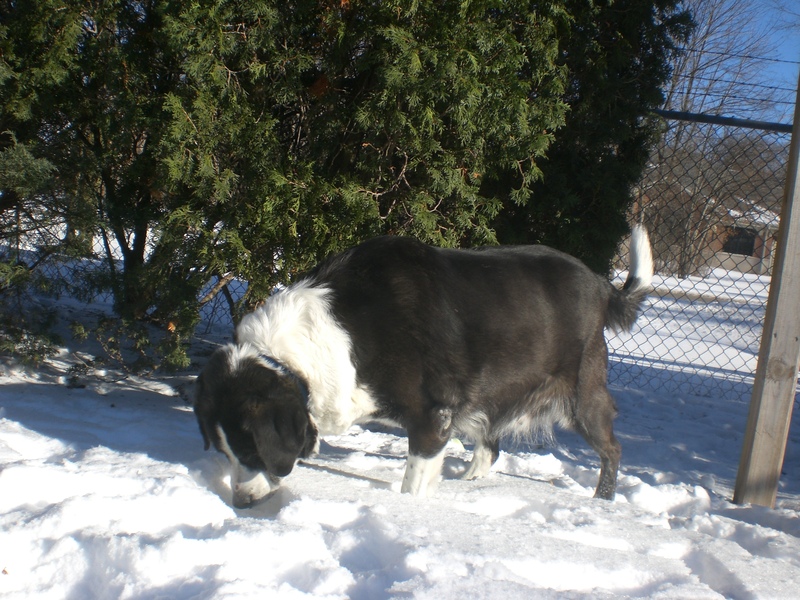 She’s on the large size for a Border Collie, but is just as attentive and intelligent as a purebred and would probably enjoy some outdoor activities to help shed a few pounds (once the weather gets warmer, of course!). Shasta just needs someone who will help her come out of her shell. She doesn’t understand how she ended up at the shelter, and will be forever thankful to the person or people who take her home. She’s a gentle girl who enjoys a nice pat on the back or scratch under the chin. Give Shasta a chance to show you how wonderful she can be, and you won’t be disappointed! I also spent time with Molly, the other Molly, Lucky, Akiva, Wilbur, and Rosco. Posted by Meet the Pooches on January 30, 2014 in Dog Profiles and tagged adopt, adoption, animal shelter, animals, Border Collie, Chicago, dogs, Labrador Retriever, Orphans of the Storm, pets, Pit Bull Terrier.